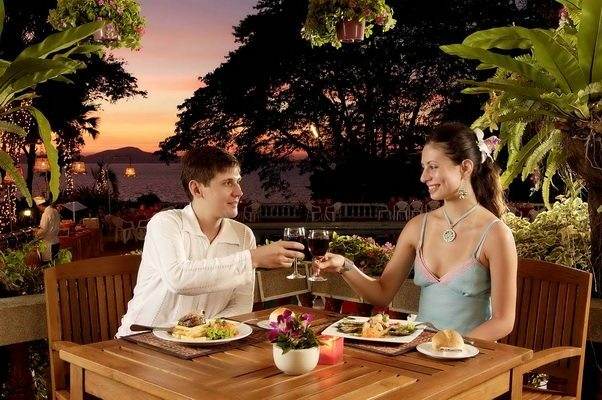 Here are a few fine dining do’s and don’ts for Hua Hin golfers that were complied by long time area resident, gastronomical expert, and Swiss Amateur Golf Team captain Marco Scopetta. If you plan to spend few days golfing in Hua Hin, these are the best restaurants you can experience after your round. 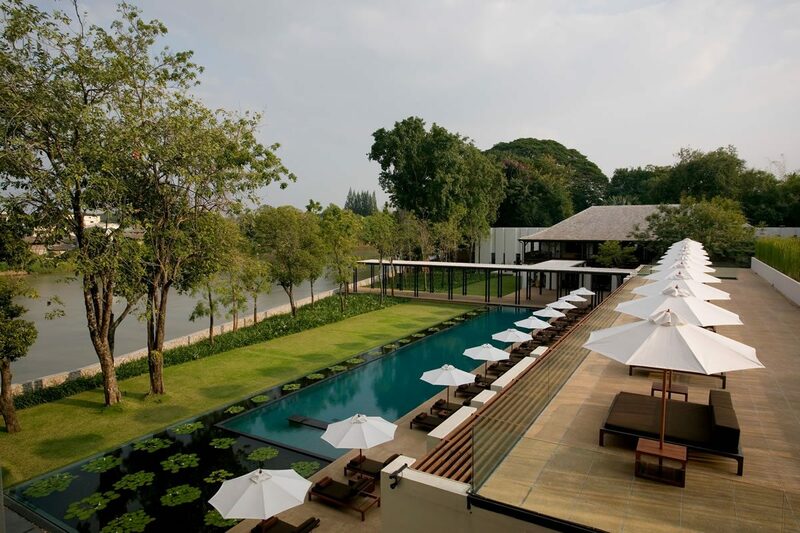 The well-established Sofitel Centara Grand Resort and Villas has become the Centara Grand Beach Resort and Villas Hua Hin. While the Hua Hin resort has been rebranded, the incredible Saturday night buffet at Railway Restaurant has not changed a bit! It is a MUST if you really want to experience a great dinner. Insiders Tip: Bring your own wine and save a fortune. Corkage charges are only a fraction of the wine cost and the local wine shops in town have some great bargains. Baan Itsara, beach front Thai restaurant not far from the center is well-known by the locals and Hi So of Bangkok. A little expensive compared to other local restaurants but excellent. The best grilled Lobster in town. 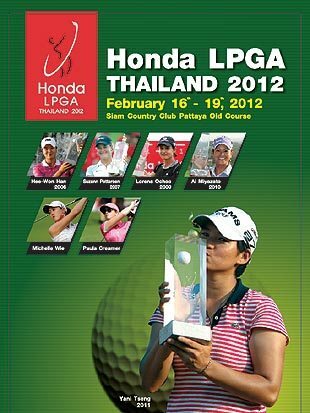 Thailand knows how to put on a show, and the top LPGA players will be at the Honda LPGA Thailand this month. With the worlds 59 best lady golfers in attendance, the Siam Country Club in Pattaya will be the perfect backdrop to kick off the LPGA tour season in style. This popular tournament was launched in 2006 when a certain Miss Hee-Won Han from South Korea won the inaugural event. Since then the likes of Suzann Petersen from Norway, Lorena Ochoa from Mexico , Ai Miyazato from Japan, Yanni Tseng from Taiwan have all held the coveted trophy. Add star names such as Natalie Gulbis, Paula Creamer and crowd favourite Michelle Wie, and you can understand why the sponsors are prepared to offer a massive US$1.8million in prize money. 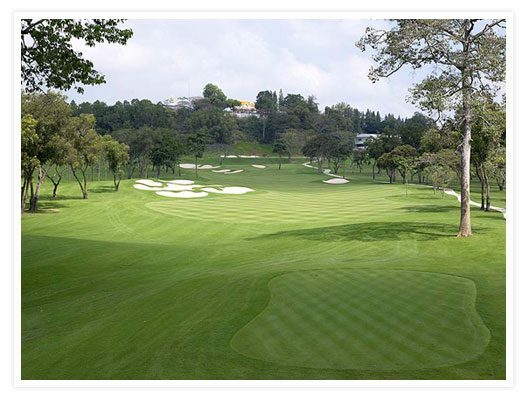 Held at the Siam Country Club’s famous Old Course, a par 72 playing 6,477 yards for the girls, the players all commented on how perfect the fairways and greens were playing. With most sports suffering during the recent economy down, the golf industry has turned to Asia for its future. The exposure that the event brings to Thailand is truly global. Meanwhile perhaps the biggest winner will once again be one of Thailand’s number one courses, Siam Country Club in Pattaya. If you want to follow in the stars footsteps, why not plan to attend the event and then play the Pattaya golf club’s two championship courses? The Old Course and Plantation courses are the 2 best Pattaya golf courses, and by a wide margin. Khao Yai’s Panorama Golf and Country Club, managed by Quality Golf, hosted its first ever professional event in the Thailand golf course’s 18 year history. 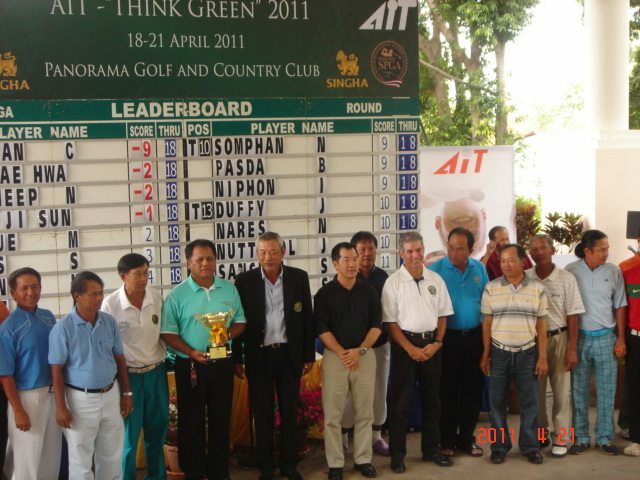 Played over 3 days in April the Thailand Senior Professional Golfers Association tournament was won by local Thai favorite Jamnian Chitprasong. Quality Golf managed to keep the usually tricky greens at a speed of 9.5 feet during the tournament. However, keeping the ball below the hole still proved to be sound advice for the top finishers. The conversation around the even was that the extreme green challenge, perfect course conditions, well trained local caddie force, and facilities of the newly renovated clubhouse led to the successful inaugural Panorama golf tournament. 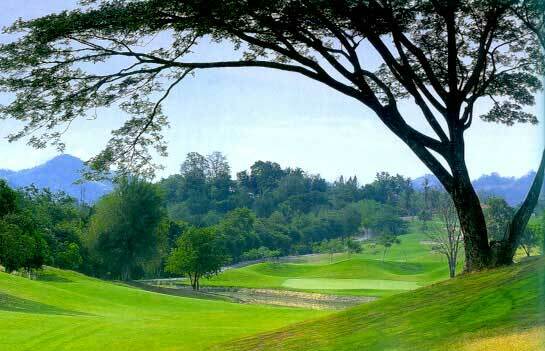 Panorama Golf and Country Club is a scenic golf course set in the Khao Yai Mountains. It was formerly known as Voyage Panorama. Quality Golf, the Khao Yai golf club’s new manager took over 2 years ago and they draw on their prior golf in Asia experience. 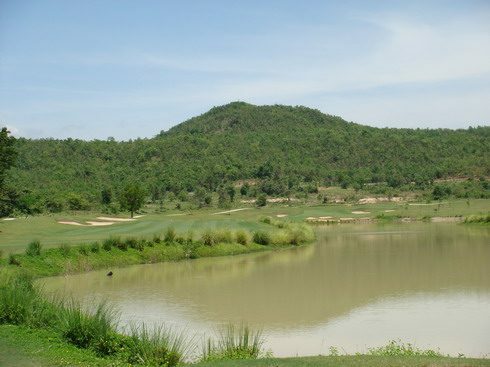 Previously Quality Golf was involved at Thai Country Club, Alpine, Blue Canyon, and Santiburi Samui. It’s not that often you can easily and cost effectively golf where golf professionals do. 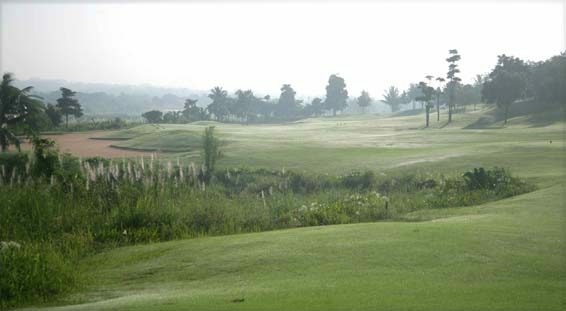 Therefore, I suggest anyone interested in playing this Khao Yai golf course under tournament conditions either include it a complete Khao Yai golf package or just contact the course directly and make a day trek from Bangkok out to Khao Yai. Either way, I am sure you will be very glad you did! Thailand knows how to put on a show, and the top LPGA players were all on display at the Honda LPGA Thailand this weekend. With virtually all the star names in contention, the Siam Country Club in Pattaya provided the perfect backdrop to kick off the 2011 LPGA tour season in style. This popular tournament was launched in 2006 when a certain Miss Hee-Won Han from South Korea won the inaugural event. Since then the likes of Suzann Petersen from Norway, Lorena Ochoa from Mexico and Ai Miyazato from Japan have all held the coveted trophy. Add star names such as Natalie Gulbis, Paula Creamer and crowd favourite Michelle Wie, and you can understand why the sponsors offered a massive US$1.8million in prize money. Held at the Siam Country Club Old Course, a par 72 playing 6,477 yards for the girls, the players all commented on how perfect the fairways and greens were playing. Thailand featured nine players in the tournament and in fact 15-year-old Thai amateur Ariya Jutanugarn turned in the best round of the final day with a 4-under-par 67. Perhaps the biggest winner will once again be all of golf in Thailand and especially, Thailand's Golf In A Kingdom. Want to plan an Asian golf vacation but also need to make sure your non-golfing travel partners are happy? No problem. Below are some of the more popular non-golf activities to include on your Thailand golf holiday itinerary. Massage: Thai massage, Swedish massage, sports massage, foot massage, neck & shoulder massage, fish massage, aroma therapy, hot stone therapy and more. You are never far from a spa in Thailand. Most good hotels have them and you will find many more on the streets. Best of Bangkok: Tour includes the Grand Palace, the city’s most famous temples and a long tail boat ride on the Chao Phraya River. 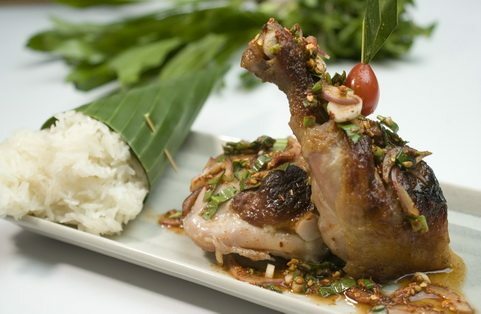 Thai Cooking School: Fun hands-on experience as you cook (and eat) a multi-course Thai meal. Siam Niramit: Dinner and Thai culture show. World class stage production is one of the best of its kind. The Beach: Besides golf, Phuket has some of Southeast Asia’s best beaches. Phi Phi Island: Numerous beautiful and exotic limestone islands popping up out of the sea along with opportunities for swimming and snorkeling as well as lunch on a deserted island (aka James Bond). Phuket Island Highlights: Sightseeing including Kata lookout (Phuket’s southernmost point), Wat Chalong Temple and Phuket Town. Phuket Fantasea: Dinner and Thai culture show with elephants, magic, song, dance, acrobats and much more. Asian PGA Tour players would do well to brush up on their Thai language skills, as the tour will be making several golf stops in Thailand during 2009 with the season beginning and ending in the Kingdom and more events along the way. 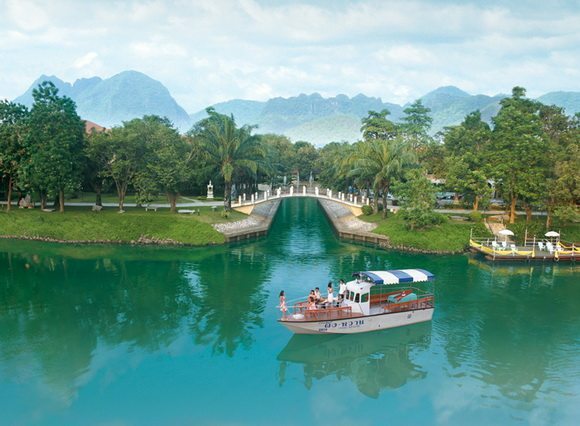 Great Thai golf courses and weather, combined with world class accommodations and famous Thai hospitality have apparently charmed the Tour into coming back again and again, much as it has for growing numbers of international holiday golfers and travelers. Perhaps the tour bosses have also developed a taste for jasmine rice, tum yum gung, pad thai and som tam? The Asian Tour Qualifying School kicked it all off January 06 – 09, with 1st Stage events at Bangkok’s Lam Luk Ka Country Club plus two Pattaya area clubs: Rayong Green Valley and St. Andrews 2000. The latter two courses also held the Q School’s Final Stage a week later. What have you wished for if you could get a hole-in-one on your Thailand golf vacation? Well how about this fitness guarantee? 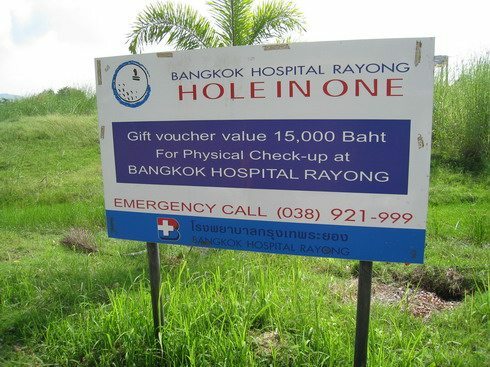 Last week while golfing in Pattaya I ran across this great hole-in-one prize at Rayong Green Valley Golf Club. What better way could the golf club owners think of to reward the most accomplished (lucky) golfers in Thailand with a prize to guarantee the winner's longevity and golfing career. On the other hand, a check up at the most expensive hospital in Bangkok only runs around $200 US dollars. So for those of us who are not so lucky when golfing in Thailand, we will have to spend a bit to get the information about our health and insure that we can golf in Thailand well into our old age. Have you ever wanted a place to share your Thailand and Asian golf stories or just read about the antics of an expatriate Thailand golfer who knows more about golf in Thailand than anyone in the world? Well look no further. The word is out; Thailand’s newest golf blog can be read at where else than http://www.thailandgolfblog.com, what an appropriate name indeed! 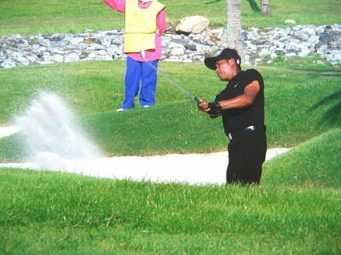 The Thailand Golf Blog author has lived, worked and played golf for over 30 years all around the Far East, with spells in Hong Kong, Malaysia, Singapore, Japan and, of course, Thailand. 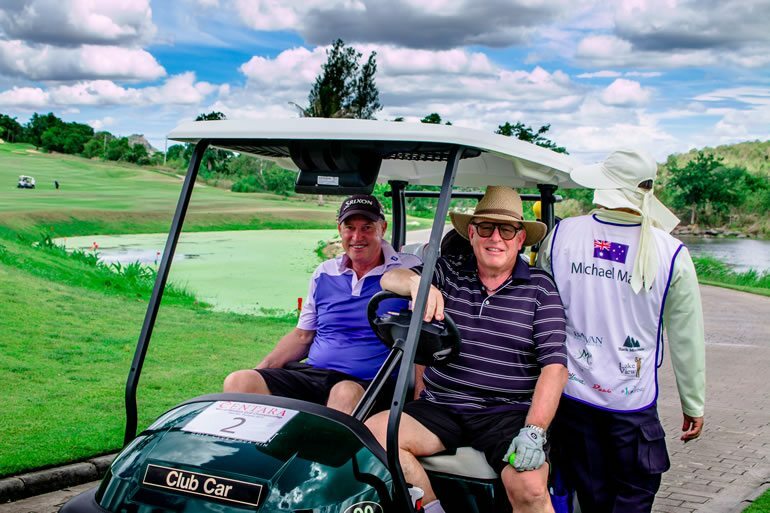 He first visited Thailand in 1977 and eventually relocated to the Land of Smiles in 1991, setting up and running one of the first inbound Thailand golf tour agencies, with offices for golf in Bangkok and golf in Phuket. 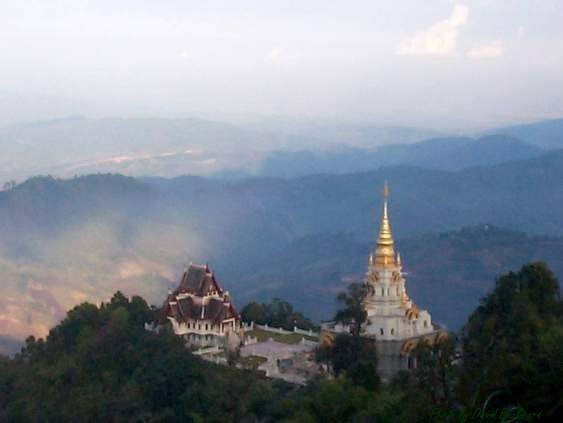 He now spends most of his time in his native United Kingdom, living with his Thai wife, and is a frequent visitor to Thailand, where he intends to finally retire. He has made regular contributions to this blog and since then I have invited him to author Thailand Golf Blog in his own inimitable style. You are welcome to post and comment on the new Thailand Golf Blog, preferably in the same light hearted way as the author. Or you can email him at nifteenev@golfasian.com. Enjoy the reading and let me know what you think! Whenever I am traveling overseas and extolling the attractions of golfing in Thailand, sometimes I hear men whining, “Oh, my wife would not let me go on a Thailand golf trip”. In fact, I am seeing a growing trend where couples are favoring a Thailand golf tour over more traditional destinations. 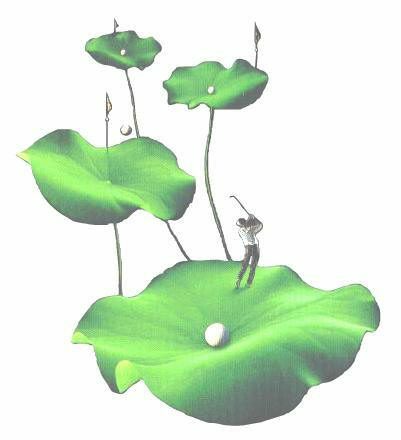 Also, my Thailand golf travel company is hosting more and more dedicated lady golf groups. Thailand is indeed a ‘Paridise For Lady Golfers‘, not just because of its wide range of golf courses, but also thanks to all those other pluses that most ladies enjoy – fabulous spas, world-class cuisine, lots of value-for-money shopping. Plus, contrary to the old days in Europe and the USA, there’s little golf sexism here. Ladies are very welcome everywhere! Clubhouses have changing facilities for ladies, there are ladies only spas and beauty salons, plus ladies are not only welcome but encouraged to eat/drink at all 19th holes. 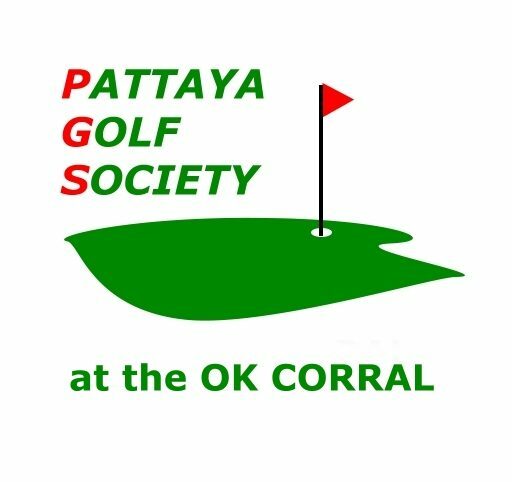 Here is the continuation of my post on Pattaya golf social clubs, staring with the conclusion on the Pattaya Sports Club (PSC) and then covering some of the lesser clubs in Pattaya. Weekly PSC Golf is run through several member groups operating from different venues in Pattaya, notably Cafe Kronborg, Tropical Bert’s Bar and Lewinsky’s Bar/Restaurant. This is to accommodate the large number of golfers who want a wide range of golf courses, competition formats and starting times. 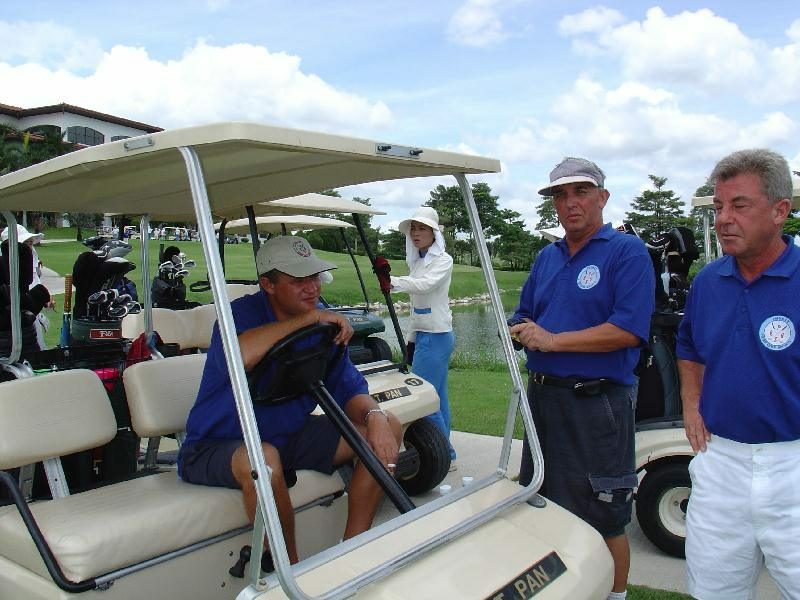 PSC also organizes a monthly tournament and an annual Charity Classic Tournament. The PSC membership is probably the most international you will find in any one club in the world. Rarely will you play in a four ball with players of one nationality. For those who travel frequently to Pattaya the PSC is a good choice. Another popular Pattaya golf and social club is run from the O.K. Corral Bar, situated in Rungland Village, just off South Pattaya Road. It is the home of the Pattaya Golf Society , "the bunker boys", claimed to be Pattaya’s oldest golf society. This golf society is the second most popular in Pattaya with either stableford or medal competitions arranged twice each week on Tuesdays and Thursdays. The membership is comprised of long term residents and golf travelers alike. All are welcome, regardless of gender, age or handicap. Golf in Pattaya and the Thai eastern seaboard is some of the best in Thailand. 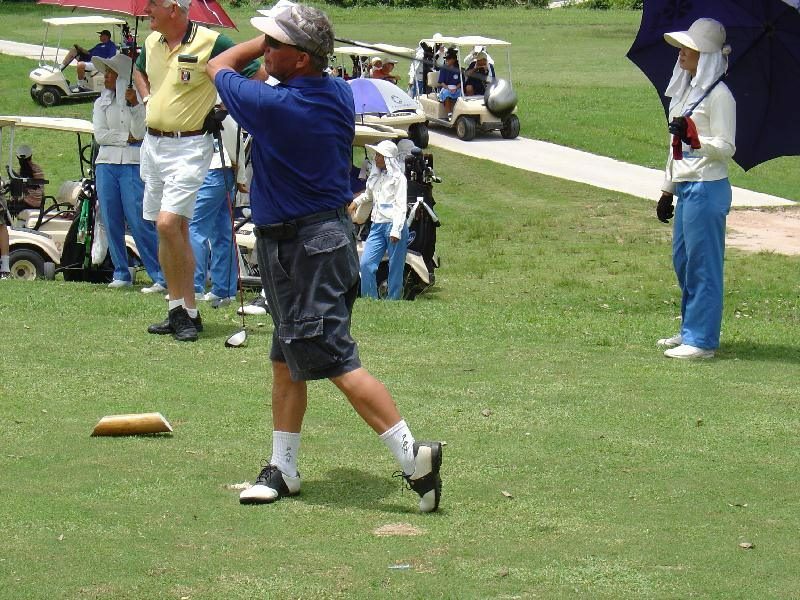 As such it is no coincidence that Pattaya also hosts numerous regular golf societies and has by far the largest in Thailand, The Pattaya Sports Club, founded in mid-1979. At that time, Pattaya was a quiet, out-of-the-way seaside fishing village. Weekenders came mostly from Bangkok to enjoy the beach, water sports, and breezy outdoor seafood restaurants. The locals were mainly fishermen and small shop owners. 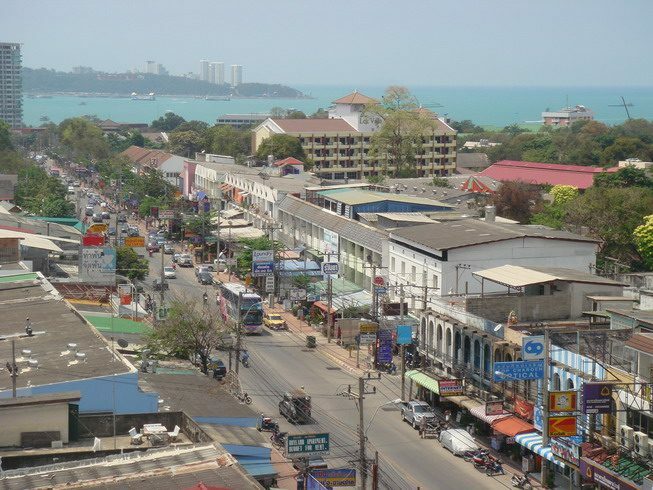 Among the few foreign residents were a handful of Vietnam expatriates who had settled in Pattaya. One of them, Bill Gilmore, called together thirty-one sports-minded Charter Members, men and women, Thais and foreigners. They named the club, approved the club symbol and agreed that the objectives of the club would be to conduct and promote sports events and contribute to local charities. 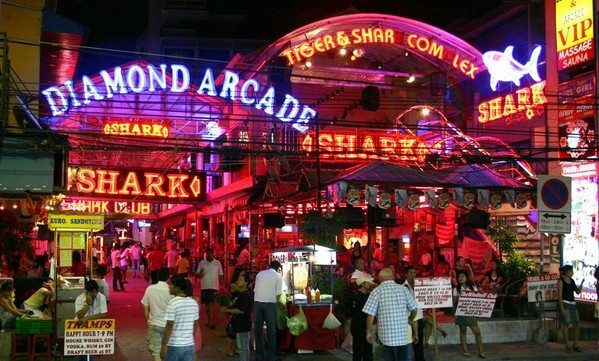 Through the years Pattaya has grown into an internationally known tourist destination, albeit now with many beer bars and the ever present prostitution. 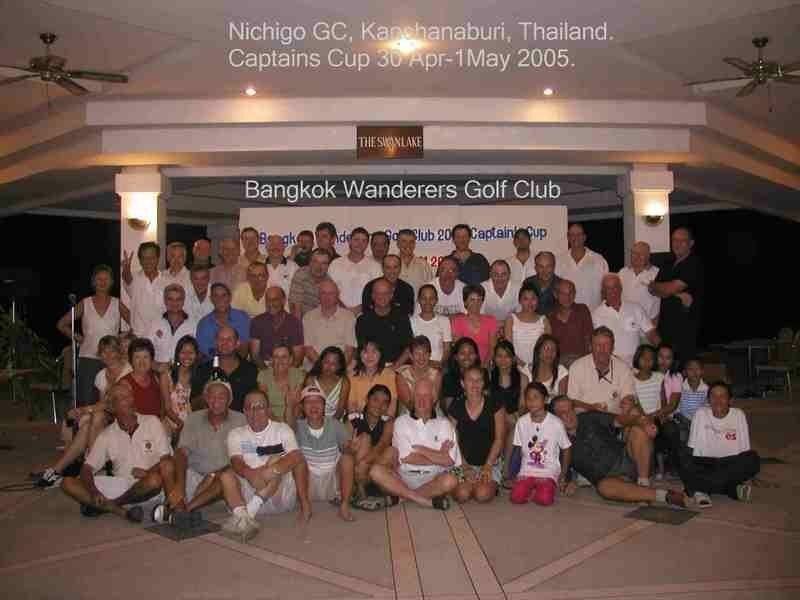 As with many other places in the world, Thailand has its fair share of golf societies (clubs). There are many regular golf groups in the main Thailand golf destinations for travelers, especially Bangkok, Pattaya, Phuket, and Hua Hin. Apart from the natural tendency for golfers to play with the people they socialize with, there is one other very good reason for this. Thailand golf club memberships can be very expensive, even though memberships can be traded or sold. 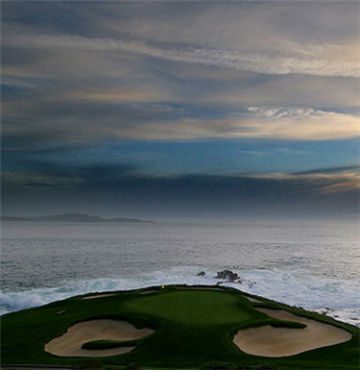 In any case, most golfers want to have the opportunity to play a variety of golf courses. If you are not a member of a golf club, it is difficult for you to maintain an official handicap. A number of the golf societies in Thailand are registered as USGA member clubs, thus enabling them to issue official handicaps. Some have their own society handicapping system. Many of the clubs and societies are named after Thailand’s more respectable drinking establishments. The Crown Royal Pub has a golf group which plays every week-end, either Saturday or Sunday. The group is a registered USGA club which results in their “clubhouse” being listed in the USGA Handbook as The Crown Royal Pub, Soi Patpong II, Bangkok! I can just imagine the first time golf traveller wandering around Patpong mystified as to why he cannot find a golf course! Here are the final 8 of my best suggestions for non golf and non tourist activities to do while winding down or taking a day off from your Bangkok golf. 9. Take a walk in the park. 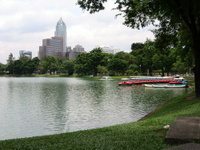 Lumpini Park, at the intersection of Silom Road and Rama IV, is the city’s oldest and most popular park. It’s location near the centre of the business district means that is attracts an upscale early morning crowd of exercisers and Tai Chi practitioners from the time it opens at 6am until around 8am. The park has two lakes, and paddle boats are available for rent. There is also a library, and at certain times of the year the park becomes the domain of the city’s kite flyers. 10. Use an Internet Café. Over the past few years the number of Internet Cafes has grown enormously, not only in Bangkok, but across Thailand. Regardless of where you stay there will almost definitely be an Internet Cafe within walking distance. Most offer high speed broadband access at reasonable cost and some offer refreshments and food. 11. Shop at Chatuchak "Weekend" Market. Claimed to be the biggest weekend market in the world, it’s actually open every day except Tuesday, but with many more traders at the weekend, especially on Sundays.